bijou is a background/SWF file image resource site run by Jewlz. You can find every image neopets has offered to date with the exception of some that are blocked by filters. You can use these in many types of graphics. This site is operated within the jewel family sites. You can find almost everything you need graphic related here: Jewel, Bejeweled, Bejeweled Tutorials, Augment and The Pospsicle Stand. Enjoy your browsing of the site, I hope you find a beautiful image to work with! 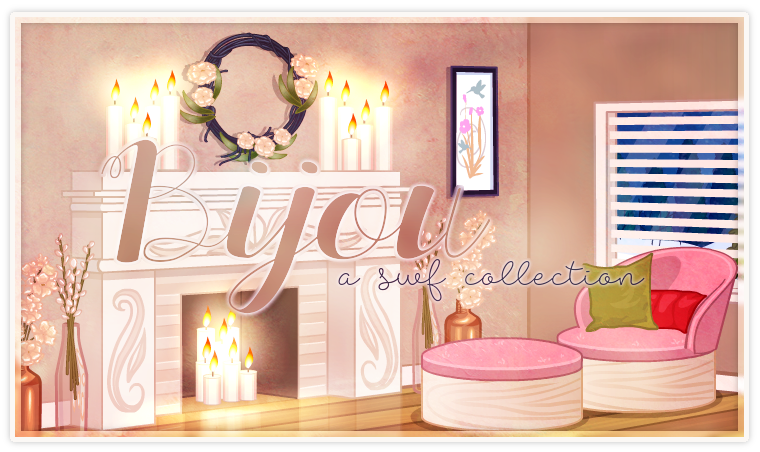 Let me know if you have any problems or questions about Bijou! I plan on updating with all the new backgrounds tomorrow if I have the time. I noticed today that Chrome no longer opens these files in browser. It prompts you to save. Try anoher browser that works. Mine is IE or Edge. The site has been updated again with all the new backgrounds. They had some really nice onesthis time. I really like the tie-dye background. Finally had some free time to update the site. Not too many background made in the space between updates this time, which to be honest, was really nice for updating. Until next time, my pretties! Allright, so it would apprear I had the time to change up the layout. Its a bit more fancy and streamlined. Definitely less cramped. Hopefully you like this one. I added two new link back buttons as well! And 2 new buttons from Ceci at Exquisite as well. Thanks, they're lovely! I apologize for not updating sooner. The site is now completely up to date with Jellyneo's wearable background list. I'm actually loving some of the new ones released. I may just have to get some NC. I may also be changing up Bisou's layout here soon. I'm finding this one a tad cramped. to search for a particular image use ctrl+f and type in the name. Otherwise you can search by clicking on a letter link to the right, or simply scroll through the images. clicking on the image will open a larger view of the (animated)background image. some images are listed twice. This just means they have a foreground image and a background image. They will be labelled accordingly. If you noticed I missed an image and you would like it added, simply neomail me. Layout by Jewlz. Textures by Details. Transparent BG's from augment.